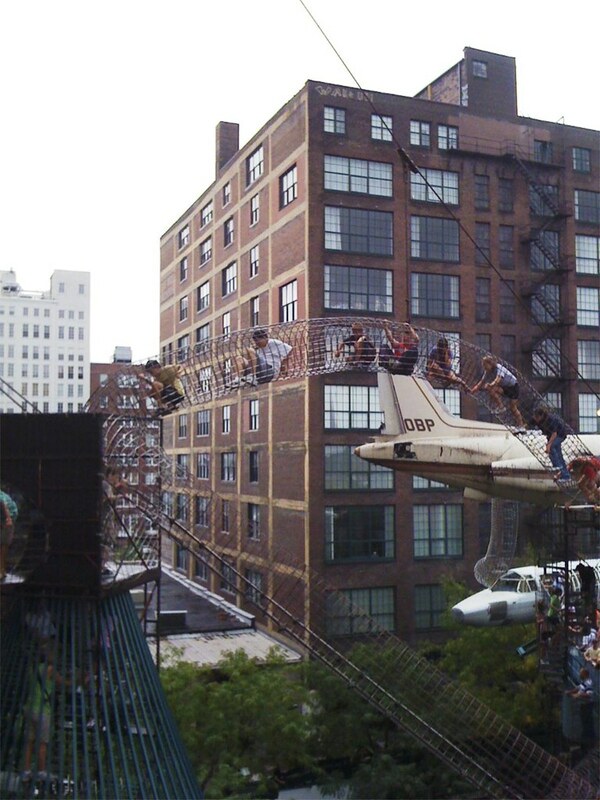 The St. Louis City Museum is a giant multi-story jungle gym for kids and adults with claustrophobic mazes, chutes and stairs, wire tunnels arching 50 feet off the ground, a ferris wheel and a school bus hanging off the roof of the building. People are wed there, and people live there. The space is constructed—perhaps grown—like a epiphyte on an old St. Louis building, entirely from reclaimed pieces of the city. It has an authenticity that transcends its entertainment value—I hope to visit every time I am in this city.